Current shelter lighting systems require controlling the light levels, covert/black-out modes and any other lighting functions at the individual fixtures. This means that every light must be touched to move to a dimmer lighting environment, or a critical black-out environment, which wastes time and increases the chance of error. 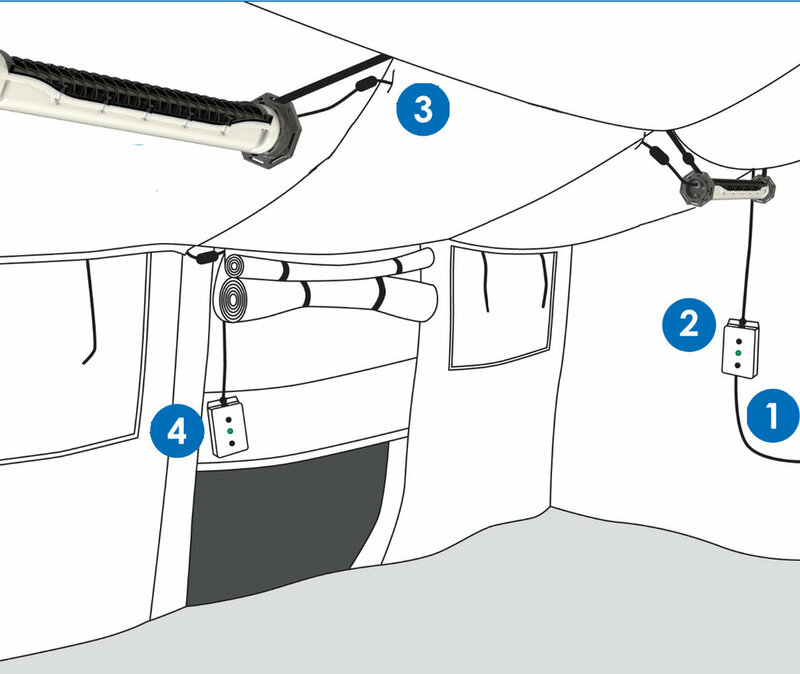 WIth the Lind Equipment Expedition Tactical LED Shelter Lighting System, every light in the shelter can have all of its functions controlled centrally using our central control boxes. These boxes are modular in nature and an unlimited number of them can be placed anywhere in the shelter. This means a central control could be placed at every entrance to the shelter, providing the ultimate control over your shelter lighting situation. 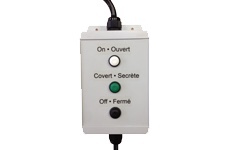 Lind Equipment's Expedition lights also have a set of buttons that control the individual light's functions. The central control will override these choices if a different mode is selected centrally. For ordering information, including part numbers and nomenclature, please click here.